The largest and the most magnificent covered cistern in Istanbul is entered through small building to the west of Haigia Sophia Square. The ceiling of this forest of columns is made of brick and is cross-vaulted. A street runs above a section of the cistern. 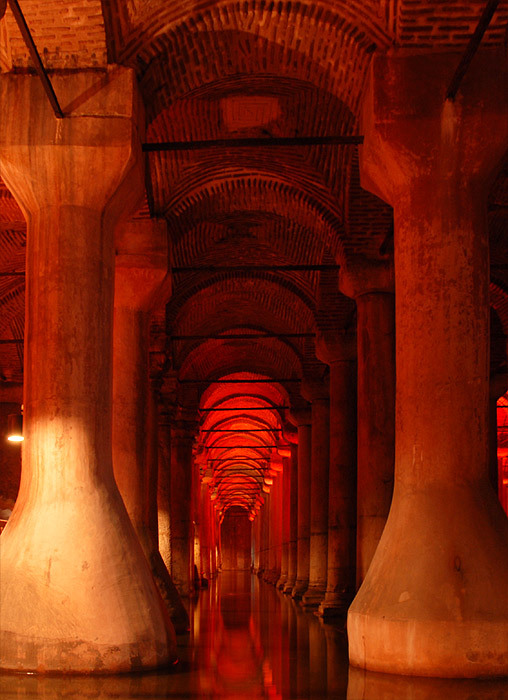 Due to a Basilia once situated on the cistern, it is known as the Basilica Cistern. 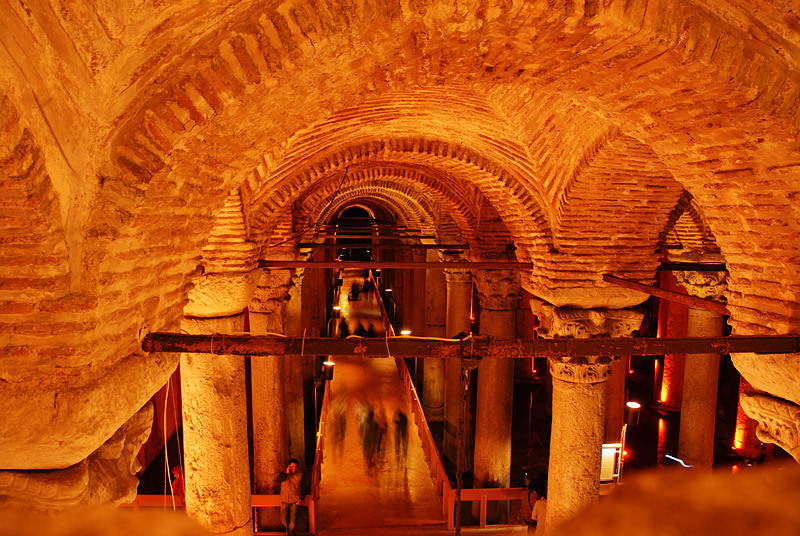 It was built in the 6th century, in the reign of Justinian, to supply water to the palace complex nearby. There are twenty eight columns in each of the twelve rows of columns (a total of 336), and the cistern measures 140 meters by 70 meters. Some of the columns have plain but most of them have Corinthian capitals. 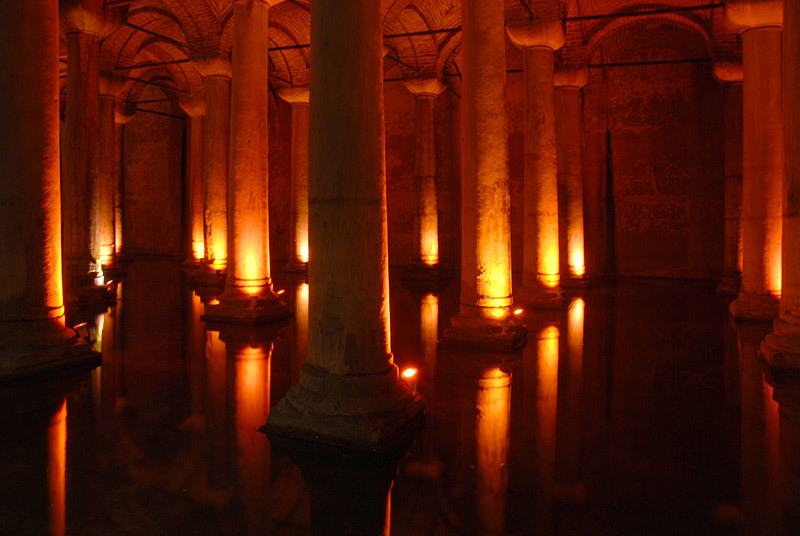 The water level in the cistern changes from season to season. During the restoration project in 1984, the floor of the cistern was scarped, and when the two meters deep muds were removed, the original brick pavement was brought to light. 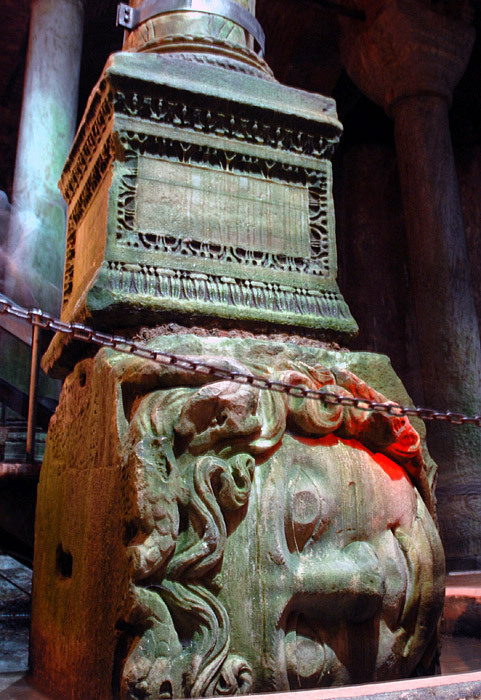 Also, two Medusa heads which serve as the bases of two of the columns were descoverd. 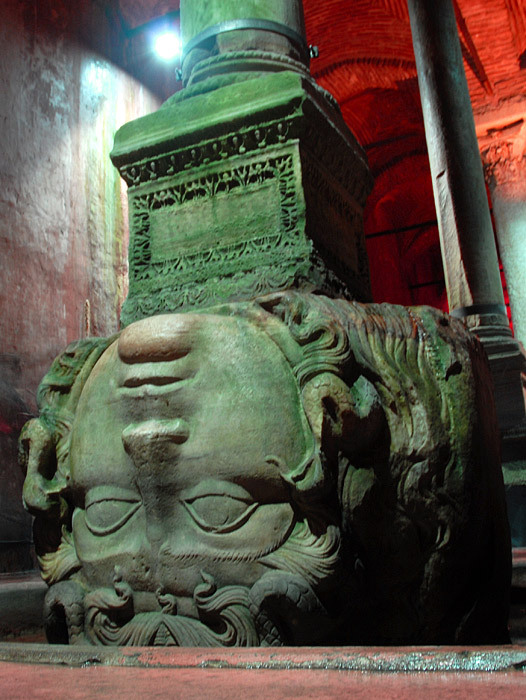 Really great work, I also visit Yerebatan Cistern, and impressions are amazing! Aditional info about this and Philoxenos and Theodosius Cistern you can find here. Story is in Serbian language.